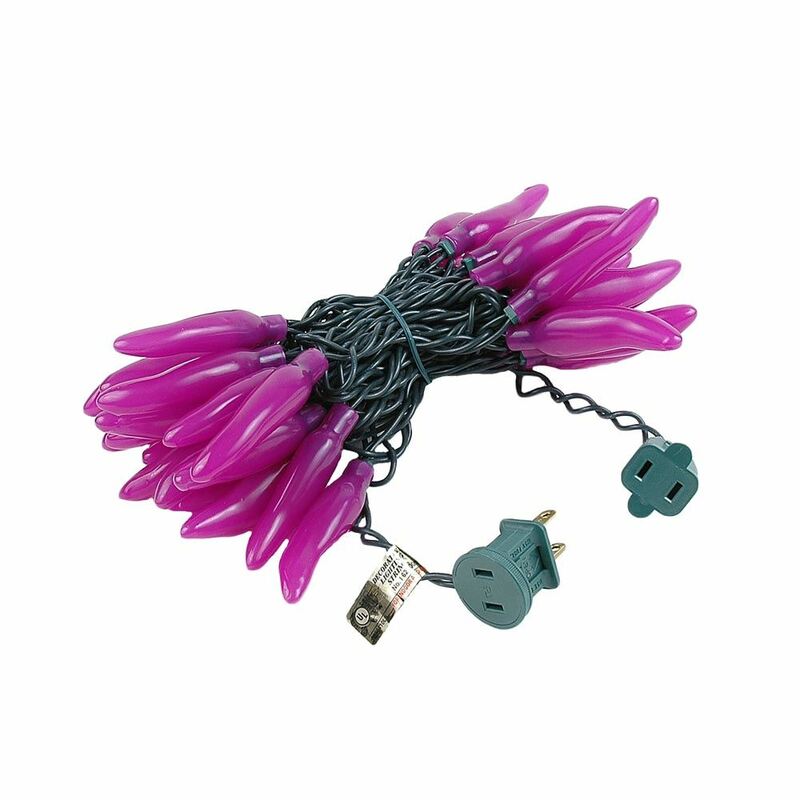 35 light Purple chili pepper string lights are perfect for southwestern themed events or decor. Each sting has 35 lighted chili peppers spaced 4" apart. The lighted length is 11.5 feet and there is 36 inches between the plug and the first pepper. 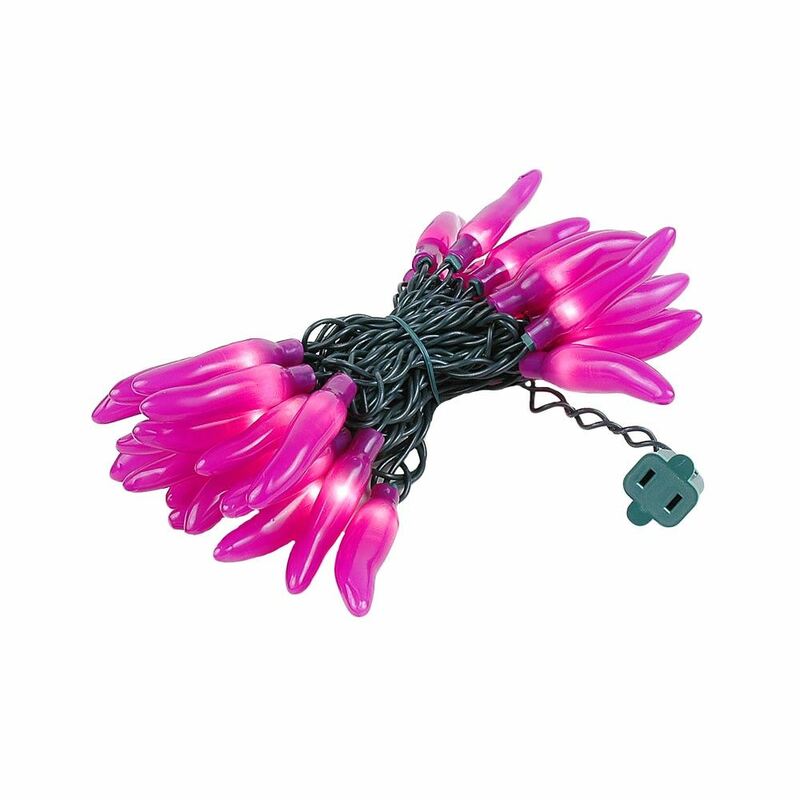 Every lights set has 2 replacement bulbs and is UL listed for both indoor and outdoor use.